It was a good night for not-for-profits at the annual Samuel McLeod Business Awards Thursday night, as three walked away with award wins in their respective categories. 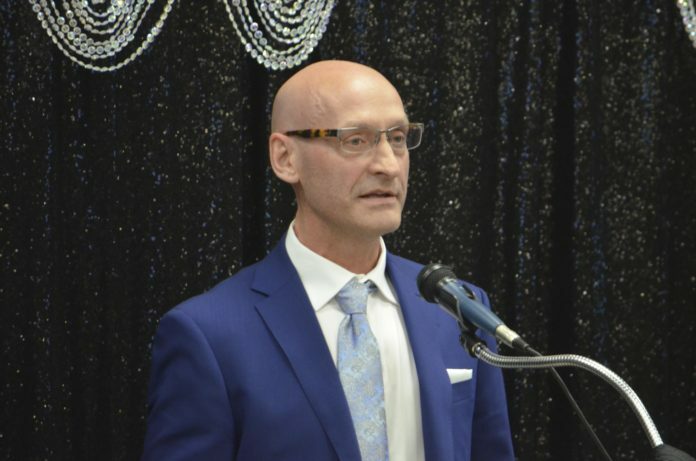 Catholic Family Services of Prince Albert won the service award, while the Prince Albert and District Community Service Centre(CSC)/Pine Industries/SARCAN won non-profit organization of the year, and S.H.A.R.E. won for community involvement. Both S.H.A.R.E and Catholic Family Services were up against for-profit businesses in their respective categories. “It’s nice to be recognized in the community for the work we do,” said Robin Knudsen of S.H.A.R.E. The organization has won the non-profit award a few times, but winning in a different category against for-profit businesses is something special. “I think this shows we’re involved in the community, not just as a non-profit but as individuals in the community doing our part,” he said. Bill Powalinsky of CSC said the award might help the organization educate the public about some of the services they offer. The CSC provides seniors’ and special needs transportation, as well as budgeting, work preparation and job search services and supported employment for those with employment barriers. The group also operates SARCAN in Prince Albert. “We’re feeling very proud, very happy, almost overwhelmed,” Powalinsky said. Powalinsky said the fact that three non-profits won is an acknowledgement of everything the sector does for Prince Albert. “Not only do we have responsibility and commitment in a community for economic and business development, we also have to have social development moving alongside,” he said. Knudsen agreed with Powalinsky’s assessment. “(Non-profits) are the backbone of a lot of the community,” he said.